The Earth's atmosphere is composed of four gaseous layers that are categorized by air pressure. 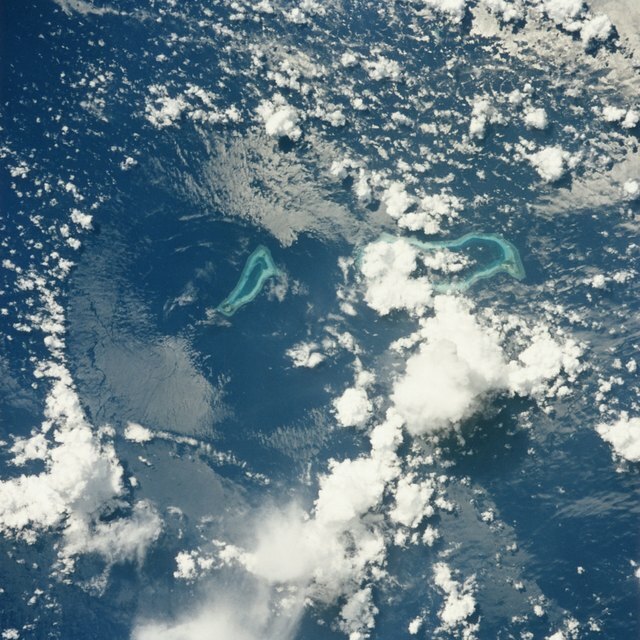 The atmosphere collectively contains 79 percent nitrogen and 20 percent oxygen, according to the University of Tennessee website. 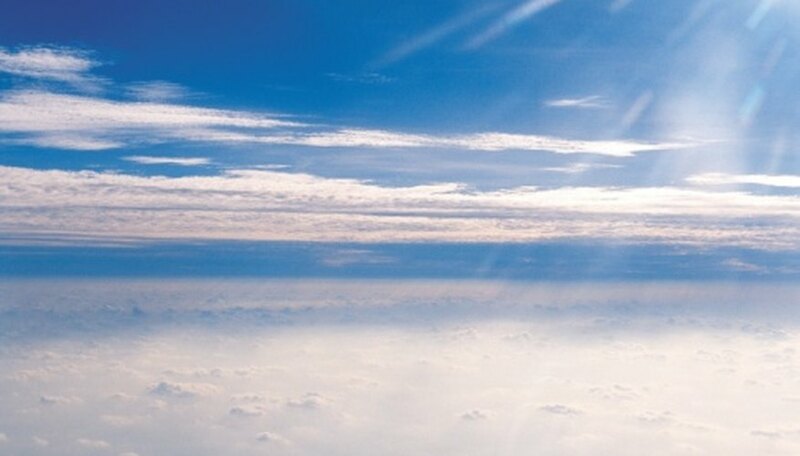 The stratosphere plays a large roll in the distribution of greenhouse gases and is therefore of tremendous interest to the scientific community. The stratosphere has characteristics that distinguish it from the other layers of the atmosphere. Precipitation levels are extremely low in the stratosphere and its climate generally remains dry. Little moisture escapes from the troposphere into the stratosphere. Clouds only form if temperatures become so cold that water condenses to form ice crystals, according to Espere.com. Minimal cloud cover and storm cloud formation make conditions favorable for long distance aviation. The stratosphere is situated between the troposphere and the mesosphere. The troposphere is the inner-most layer of the atmosphere that is closest to the Earth and produces weather. The stratosphere rests just above the troposphere at approximately 18 k in altitude and tapers off at approximately 50 k.
Temperature in the stratosphere increases with altitude, according to Weather Online. The lower part of the stratosphere is isothermal, meaning that temperatures within that region are homogeneous. Temperatures of the lower stratosphere average around negative 60 degrees Celsius. Temperatures begin to shift as altitude increases because of the the presence of the ozone layer. Trapped radiation from the sun gives way to drastic temperature increases at around 50 k and can reach a maximum of zero C. Temperature is not evenly distributed in the stratosphere because of trapped heat in the ozone layer. The stratosphere contains the ozone layer, which is situated within the uppermost portion of the stratosphere. Ozone is a particularly reactive form of oxygen because of its chemical composition. It traps ultraviolet light from the sun and converts it into heat, according to Espere.com. Ozone plays an important role in keeping the Earth's surface from over-heating. Scientists speculate that holes discovered in the ozone layer are contributing to global whether changes. Conner, Jessica. "Characteristics of the Stratosphere." Sciencing, https://sciencing.com/characteristics-stratosphere-8374756.html. 25 April 2017.